Online U.S. retailer Bishop Collective has chosen New York City to bow its first-ever physical retail store, opting for the diverse community backdrop of Manhattan's Lower East Side. 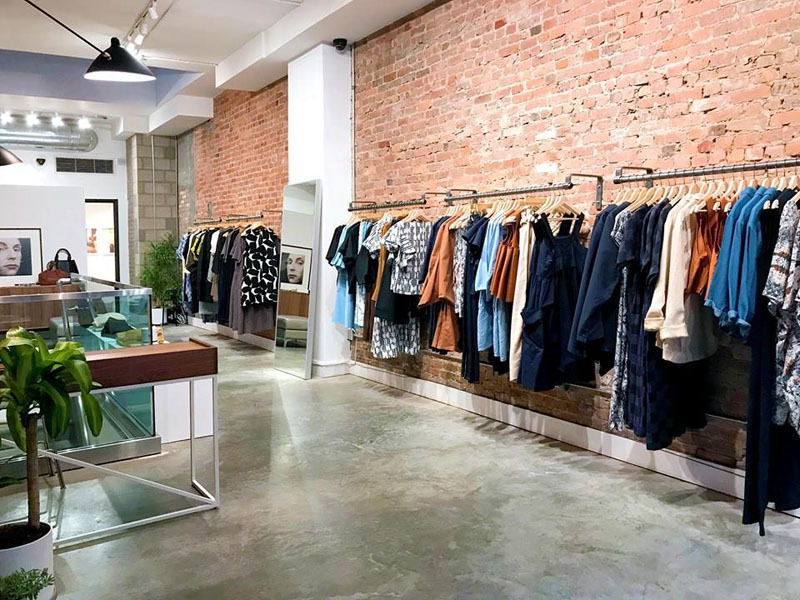 Located at 143 Ludlow Street, the debut Bishop Collective boutique covers 700-square-foot and stocks the sustainable multi-brand retailer's ethically sourced women’s wear, accessories and home decor from other labels, as well as the brand's own label the Bishop Collective. Key fashion and accessories labels to feature in-store include Dusen Dusen, H. Fredriksson, Megan Huntz, Micaela Greg and Whit, as well as jewellery brand K/ller Collection and decor brand Fruitsuper. Bishop Collective stocks limited amounts of sustainable or 'slow' fashion from a boutique collection of labels. Everything is American-made, giving the brand greater control of its product assortment, according to its website. "We provide a highly curated collection of women’s apparel, accessories and lifestyle goods, carefully picked each season from emerging and lesser-known brands who share our values for conscious consumerism," said the brand in a statement online. "Great attention is paid to material selection, construction and more importantly, the community who helps to bring it all together. This ensures that our product is lovingly made by skilled adults who are paid liveable wages." Founded by Mai Vu and Dimitri Koumbis in 2013, Bishop Collective trialled its first physical retail outlet last year, with a three-month pop-up on Mulberry Street in NoLIta during the 2017 holiday period.